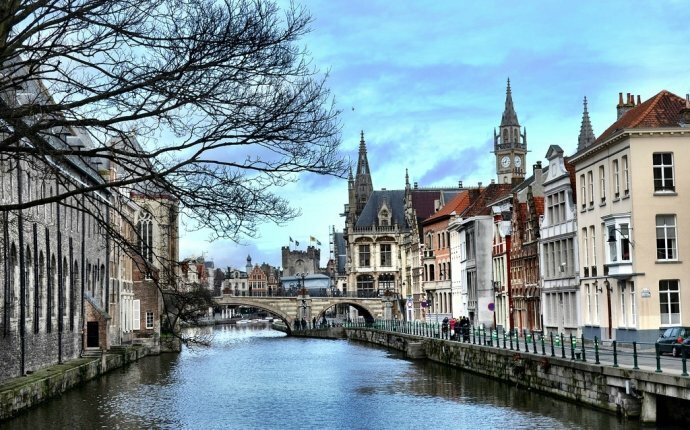 Perhaps a good month to visit Ghent is July. It is when the city doesn't sleep as everybody is on the streets partying. Guaranteed! Ten days of music and dancing and lots of fun, it is when visitors have the greatest chance to now the best of the locals. It is the Gentse Feesten. During 10 days, Gent downtown is filled with people who want to enjoy great music, dance and theatre outdoors, as well as some great beer and food as bars and restaurants tend to be open 24 hours a day. There are several festivals going on celebrating jazz, theatre and international renowned DJs who set the scenery for the party. July is holiday month in the country and you'll surely get a sense of the local atmosphere. Weather is gorgeous, though it can get really hot (temperatures hit their highest around the 70's), don't forget your hat and to apply sunscreen as you will be standing under the unforgiving sun. You can always stop at one of the bars and have a Stropken, or a Gruut, or a Klokke Roeland all local beers, or another of the other appr. 500 sorts of Belgian beer.